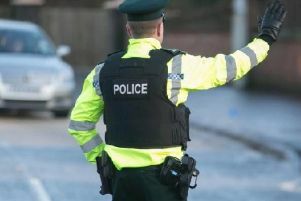 Young children were led to safety from a Craigavon youth club after teenage boys began lobbing fireworks at the kids. Teenagers, aged around 14 and 15, fired the devices at other children as they went to Tullygally Youth Club on Monday night - forcing the event to close. One concerned resident said the children attending the youth club have been regularly targeted over the past two weeks. A spokesperson for EA said: “In recent weeks there has been an increase in risk-taking behaviour from a small number of young people around the Tullygally area surrounding the Education Authority (EA) Tullygally Youth Centre. “Unfortunately this resulted in an incident where fireworks were thrown at young people entering the Youth Centre. The EA Youth Service staff risk assessed the situation and made the decision to close the Youth Centre in order to ensure the safety of the young people. “Parents were contacted and young people were led safely from the building by the back entrance. Any young people directly involved in the incident were supported by EA youth work staff. Writing on Meadowbrook residents’ Facebook page, they said: “Absolute disgrace that our young people can’t attend our local youth club without being attacked by young boys with fireworks. And a child being hit with one. “The young people are missing out on certain programs/projects because the youth centre had to close early. Police in Craigavon also received reports of youths setting off fireworks in the Glenfield Road area of Lurgan, on Monday, September 24. Inspector Beckett said, “We are aware this is an ongoing problem in the area and we take any report of criminality very seriously but it is also important to recognise that the resolution of these issues may not solely be for policing. “We will continue to work with local representatives and partner agencies,” said Inspector Beckett. “We are keen to find resolutions that everyone can live with, increasing community cohesion and allowing the area to move forward. We recognise that people are working very hard to deal with these issues, and the Police Service will continue to play our part in helping to resolve them. “We would appeal to parents to always know the whereabouts of their children and what they may be up to. What may seem like fun at the time could lead to a criminal record or causing serious harm.